New Mexico State Sen. Lee Cotter (R-Las Cruces) has renewed efforts to bring tax relief to residents of Dona Ana and Sierra counties relating to their support of Spaceport America. In 2007, residents of the two counties agreed to increase their taxes to help fund the construction of the facility, which is located outside of Truth or Consequences. The taxes remain in place to pay off bonds sold to fund Spaceport America’s construction. 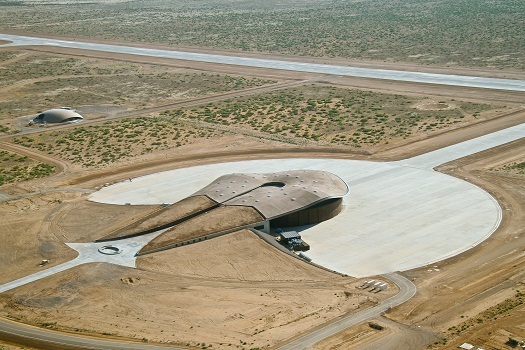 In recent years, the New Mexico Spaceport Authority (NMSA) has been using taxes collected in excess of what are needed to pay off the bonds to support spaceport operations. The authority has been facing deficits due to delays by anchor tenant Virgin Galactic in beginning operations from the facility. Cotter’s bill would use the excess revenues to pay off the bonds early. State taxpayers would pay for operations not covered by other spaceport revenues. NMSA’s budget request for FY 2017, which begins in July, shows expected excess tax revenues of $585,000 as part of a spaceport budget totally nearly $6.4 million. The spaceport authority is already requesting $2.26 million from the state government to fill a hole in its FY 2017 budget. Obtaining even that much money is likely to be difficult because the state’s revenues are already sinking due to low oil and gas prices. NMSA Executive Director Christine Anderson told the Sun-News that Cotter’s bill would be devastating to the struggling spaceport. “If we lost it this year, frankly we’d probably have to close the doors. I’m not being over-dramatic when I say that,” she said. Cotter believes there is a slim chance of his bill passing. He introduced a similar measure last year that died in the Senate Finance Committee. Thanks. I get an increasing feeling that not much about this program was thought through very well. Same problem here in Mojave.